We have been trading since 1994 starting out working solely for the water industry on electrical installations, maintenance and instrumentation. In 1999 we became a member of the NICEIC and became approved contractors for Pembrokeshire, Ceredigion and Carmarthenshire County Council, Dyfed & Powys Police and NHS Trusts for all three counties. NSE(Wales)LTD has grew steadily over the years and carries out installations in many sectors, such as domestic, commercial, industrial, renewable technologies and Specialists services. We currently operate a wide variety of skills with a large private and commercial customer base with an exceptionally high client retention rate, with many of our customers having worked with us throughout the lifetime of NSE(Wales)LTD. We have an extensive history of projects ranging from domestic call outs to contracts in excess of £500,000. 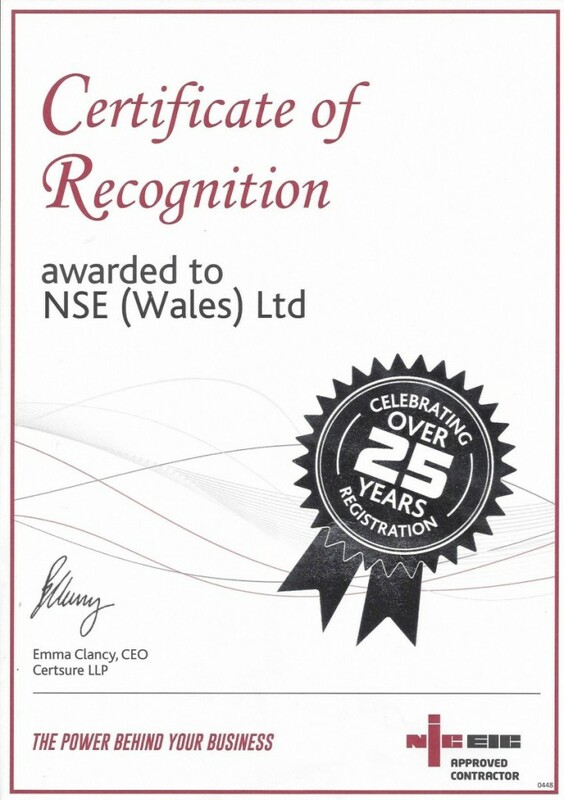 NSE(Wales)LTD takes pride in providing a professional and efficient service suited to the needs of our clients. 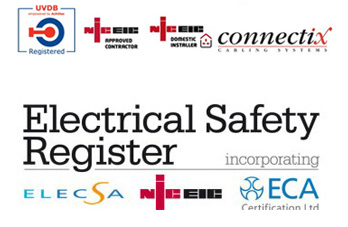 We are inspected by the NICEIC every year to guarantee we are working to the latest IET wiring regulations BS:7671 as well as all other statutory and non-statutory standards.